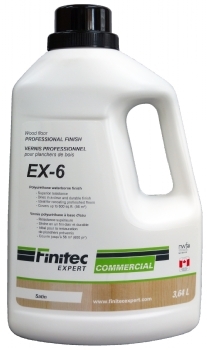 EX-6 is a one-component finish designed for wood floors with commercial and heavy residential traffic. EX-6 dries in a clear finish. Its exceptional adherence makes it the ideal finish for recoating prefinished floors.